Domtar’s commitment to safety is strong and long-standing, and it’s bolstered by investments in safety systems, heightened attention to workplace procedures and improvements to personal protective equipment. Those investments are paying off; three mills logged 1 million working hours without reporting a recordable incident. 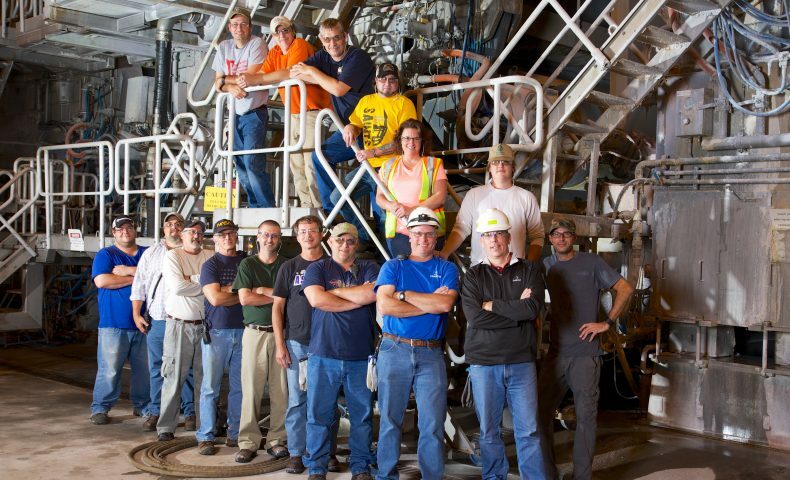 The Windsor Mill in Windsor, Quebec; the Hawesville Mill in Hawesville, Kentucky; and the Ashdown Mill in Ashdown, Arkansas, all celebrated working 1 million hours in 2016 without a recordable incident — an extraordinary safety achievement in manufacturing. It’s the second time in three years that the Windsor Mill reached such a mark. Over the past nine years, our Pulp and Paper division has improved its total frequency rate (TFR) of recordable incidents from 2.07 in 2007 to 0.86 in 2016. (The rate is calculated on the equivalent of 100 employees, working 40 hours a week, 50 weeks a year.) 2016 was the fourth-consecutive year the company recorded a rate below 1.0. To appreciate this milestone, one must understand how the hours are counted and what a recordable incident is. Working hours are measured in part by the number of people are working at a facility. The number of days required to reach 1 million hours varies according to the size of a mill’s workforce. Though the number of employees varies from mill to mill, the calculation for recording incident-free hours is static and simple. It’s based on the number of employees and the hours worked. For example, if 500 employees worked 40 hours per week, that’s a total of 20,000 hours. Divide 1,000,000 hours by total employee hours (20,000, in this example) and you get the number of weeks worked (in this instance, 50 weeks). In order for an injury or illness to be recordable, it must be work-related, which means an event or an exposure in the workplace caused or contributed to the condition or significantly aggravated a pre-existing condition. Domtar’s manufacturing facilities continue to reduce recordable incident rates through intentional work designed to reduce risks, by managing and learning from close calls and by instituting proactive initiatives and innovations. In our industry, we are ranked among the top companies with the best safety performance by the American Forest and Paper Association. Our target goal is to achieve a total frequency rate of recordable incidents of 0.50 by year 2020.